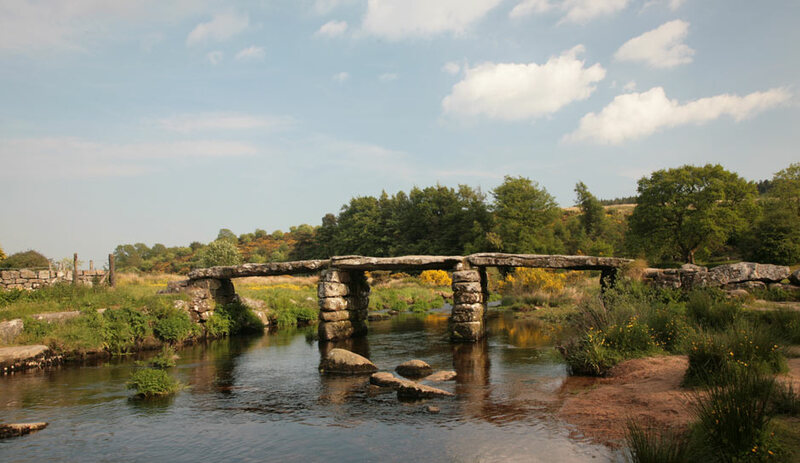 The well known clapper bridge in Postbridge where it traverses the East Dart river. It is thought the word 'clapper' derives from an Anglo-Saxon word, 'cleaca', meaning 'bridging the stepping stones'. The slabs are over 13ft long and 6ft wide , weighing over 8 tons each. It was first recorded in 1380 and was built to facilitate the transportation of tin by pack horse to the stannary town of Tavistock.